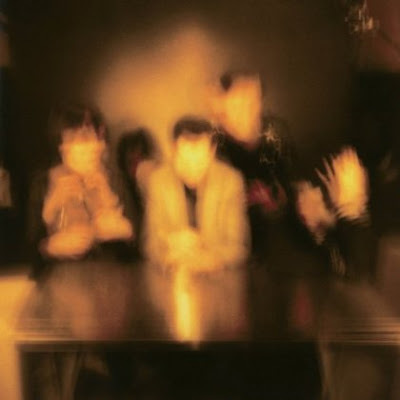 Sophmore album from London's The Horrors 'Primary Colours' released yesterday is already getting rave reviews and cries for album of the year on many blogs. After listening to the album last night on my lovely headphones I can say it definitely deserves much of that praise. The album is said to be a big departure from their first album 'Strange House' which didn't get nearly as many positive reviews. 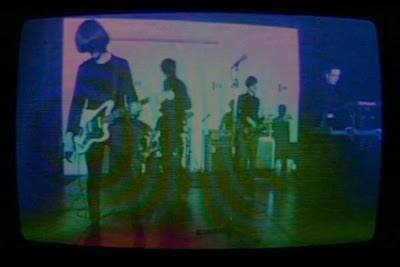 In this new album they capture the spirit of bands like Joy Division, Echo & the Bunnymen, Jesus & Mary Chain as well as newer bands like Interpol & The Editors which also draw from similar influences with the difference being that with this record they also mix in shoegazer influences like My Bloody Valentine to create their own sound. They also got Portishead producer Geoff Barrow to produce this record which might account for the excellent production values and smooth flow of the album. The record reminds me of M83's brilliant album from last year 'Saturdays = Youth' which did a similar thing in mixing 80's influences with their own style to create something exciting. This is the closest feel to that I've heard so far this year. See what you think... Here's the opening and closing track from the album, plus their video for 'Who Can Say'. I loved their 1st album. This 2nd album def was thought out more and obviously more production and engineering went into it. Plus, it looks like the record label believed in it, it's all over the place. With well deserved reviews and head on comparisons, such as yours Ray, I don't see why they are not the next "it" band, which unfortunately at times can hurt a band. Anything that "captures the spirit" of JD will always have room in my iPod. We can all use vibrant videos these days, their good for the eyes and soul, plus both of their videos for this album seize the feel of live-creative-intimate shows.